Just when you thought we’d heard the last of Sprint and T-Mobile joining forces, a report today states that Softbank and Sprint’s chairman, Masayoshi Son will be meeting with the Chamber of Commerce. His desire is – according to WSJ – to lobby policy makers and business owners to support mergers in the wireless market. It comes as no surprise that Son is now turning to the public to garner support for his planned merger. Both the FCC and Department of Justice have expressed concerns that the move would be bad for the industry, and for consumers. Although there might be some benefit to the two companies joining forces to share spectrum, towers etc, it’s clear to me that Son has lost inspiration. T-Mobile, in its current form, is the most attractive carrier in the US. It’s the plucky, rebellious underdog, and it’s starting to outperform its rivals. Sprint – on the other hand – has had very little impact on the market over the past year and Softbank’s chairman seemingly sees a merger with Tmo as the only thing that might make his investment in Sprint worthwhile. Wont watch. It’s a dog and pony show at this point. Why allow a growing T-Mobile to get pulled into a nightmare like Sprint? T-Mobile has a lot of prospects with growth at this point. I’m hoping FCC and DoJ stick to their guns on this one. in a way, I feel sorry for him.. I think he’s probably wishing he didn’t invest in Sprint. Sprint needs to change the way they do business.. The only way to do that is to shake up management and actually get moving on it’s network. He might see getting T-Mobile as a short-cut.. This won’t end well.. mark my words.. I hope you mean it won’t end well for Sprint. Turning to the public? Wtf? If he was turning to the public, he’d be running commercials not giving speeches to a conference that only wireless geeks will read about. Your analysis is so lazy that you might as well just post articles from done where else. Are there any petitions other than this one? Awesome! Signed and Tweeted and Google+’d! sign it need 20000 more. Yeah, like the public will want this to happen. What a joke. The public is fickle. Tell them anything they believe it and then go with it, only later they regret decisions. The only way I would support it is if it was a reverse merger and the tmobile brand remains as the main brand. Me too! Gut Sprint’s administration and give the spectrum and towers to T-Mobile to manage/fix. Like a reverse merger. Or basically gutting MetroPCS and giving it to TMobile. Which happened. It isn’t the brand that’s important, but the operating philosophy and the competitive fallout. There is no way that the current operating philosophy of TM would be continued for any length of time once a merger was completed creating a third carrier with over 100 million subscribers. Agreed. Sprint is a raging dumpster fire and I have not seen this guy make an effort/investment to sway public opinion on THAT. So I, and hopefully the DOJ/FCC, don’t see how that will change by letting Tmobile be sucked into that black hole. Son has actually not invested much in Sprint or turning it around other than giving them an allowance monthly to continue to slowly rollout Network Vision, a project I call Network Delusion because they are delusional thinking it actually has improved their network or situation. It has not. More so, unless they were planning to shift from CDMA to HSPA, none of it mattered to modernize since they claimed by 2017 they would be an all 100% LTE network anyway. With that thought, the last 4 years on CDMA sucked anyway and they still haven’t fixed anything, so what’s the point to spend money to fix anything now when they could use the money and resources to immediately deploy 100% LTE sooner and dsaveave money in the process by not re-deploying obsolete technology. So let’s be honest here, Sprint is and has been so mismanaged for a good decade plus, and the only way to fix it is to hire Neville Rey from TMobile to figure out what to do with the existing spectrum and network. Best they can do is form a tower/equipment leasing option with Sprint/TMobile and use the infrastructure together 50/50 like GSM Facilities did with TMobile/Cingular. If this son of a btch thinks he cant survive without tmobile, he can sell sprint to att at a loss and get lost from us. Who gave him visa to this country and how long..
Public support, yeah right! FCC and DOJ is what matters and they were shot down. Geez! This guy won’t go down without a fight. Don’t mind me as I LMAO!! Folks, make sure you do your part to spread the word as to why this wouldn’t be welcome – otherwise, it very well could happen. Regulators are easily swayed if the tide of public support changes, so PLEASE talk this merger down as much as possible. The only way T-Mobile can remain independent or later hook up with a more suitable player (like Dish Network, the spectrum king) is if Sprint stays the hell out. I can see Son eventually getting his way, but we need to ensure regulators block this consolidation disaster! Consumers first. No thanks. Japanese (edited) has enough of our money. And they’d be buying shares owned by a German company, so there’s that. T-Mobile could always “make the move” and just buy Sprint instead. So how do I do my part to see that this is, in fact, the last time we hear of this proposed merger? Son/Softbank is like a toothache that won’t go away. I’m now enjoying cheaper rates from at&t because of T-Mobile. Let the competition continue. All I see is an investor, that made a bad investment, trying to find a way to get some money back with another purchase. Sorry Son, I do not see how merging with Sprint is good for T-Mobile. Yes there’s the spectrum and towers, but what else do they offer? They can’t even hang with Magenta’s jump and jive; Sprint removed their phone upgrade optional shortly after rolling it out. You’ll need to romance me to get my vote. Otherwise, sit in the corner and think about why you bought Sprint in the first place. Son should just shut down Sprint and sell off the spectrum, at least he might make some of his money back. Let’s throw a poll up on the page so we can show son what a massive tsunami of a hell no looks like. Masayoshi Son give it up no one would agree to any merger. the fcc and the doj has already express their concern about the merger and they said no thanks lol without their approval the deal is basically a no go why would u think a public support would help them most of us dont want to see tmobile gone. unless u want sprint to go down even further down the drain and give tmobile money for a break up fee be my guest. Count me out. I won’t support it. This is as big of a train wreck as the Comcast with Time Warner merger! No! Hell No! It had some problem to post. It simply disappeared right after posting, and ended up it showed three. I wanted to delete the rest of them and it became like this. Mod can safely remove these two posts because it happened in error. Now they just look desperate, not how you want a potential suitor to appear……G’way, T-Mobile subscribers don’t want ya. It is time to drum up public support against the merger, so we can send this mess to bed once and all. Even customers of other wireless company should be against the merger. Tmobile has help ALL consumers with REAL competition. I’m close to that point too. Once the WIndows 8.1 phones are out if Tmo doesn’t pick them up im gone. I hope it happens, cus tmbile its has terrible service where i live, i’ve been waiting for too long, if the merger means better service, ill go for it. Then switch to Sprint now, why wait? I am currently in a contract with T-Mobile. I would like to switch because I cannot get WiFi where I live and T-Mobile is a very slow 3G not HSPA+. Sprint has LTE that receives over 30 mbps according to my Sprint Hotspot and Speedtest.net app. I would gladly switch if Sprint paid ETFs. If they merged, I could use Sprint LTE and actually have service in my house unlike T-Mobile where I have to use a booster and place it outside to get one bar. T-Mobile said there are no plans to bring LTE here withing the next 90 days, while Sprint promises it on the 800 MHz band here within that time. If they combined I would have excellent Tmo coverage in cities and excellent Sprint coverage outside of cities. I don’t understand why people stay with a company and keep paying for service if they are unhappy with it or it doesn’t offer them what they need? That is like constantly putting your hand on the burner knowing it’s going to hurt every time. Trust and believe, you don’t want Sprint involved in your service. It is their proven track record of screwing up everything they touch. The should sell all of their spectrum to T Mobile and close shop. SON invest in your own country.. Don’t try to ruin. Are life here please go stop scary me. I for one support the merger of Sprint and TMobile… If the merged company tosses Dan Hesse, all Sprint retail staff, all upper and lower management and even the store janitors out on their asses and lets TMobile staff run 100% of the company in the current TMobile form, and immediately dismantles Sprint CDMA and turns it to HSPA+/LTE. If that doesn’t happen, which it won’t, then I won’t support the merger. Why can’t Son just have Softbank (NOT Sprint), buy DT’s stake, and then cross-license Sprint airwaves with T-Mobile? That’s technically not a merger, but should be okay to have common ownership. T-Mobile doesn’t need Sprint, Sprint needs to better theirselves first before T-mobile would even think about merging. Should Sprint/Softbank really be trying this when Sprint is being sued by the GOVERNMENT RIGHT NOW!!!!! Sprint sued by the feds? That’s something our lamestream media has not even bothered to cover! That’s because you’re using a Sprint phone, idiot! Switch to T-Mobile!! Real Japanese travelers use T-Mobile, for years! Nope, not a fan of this merger. Why don’t you take the 40 Billion dollars you raised to buy T Mobile and fix your network. The real reason you want to buy T Mobile is so that Dan Hesse can destroy T Mobile just like he did Nextel. Fool me once shame on you, Fool me twice shame on me. I can see the Dutch comany who owns T-Mo selling T-Mobile USA before John Legere but, now T-Mobile is hot. T-Mobile should buy Sprint if anyone buying anyone. Sorry, but the FCC saw how much of an anti-competitive move this merger would be and told Softbank and Son that they would not approve it. The public needs to stand with the FCC and AG Holder on this one. 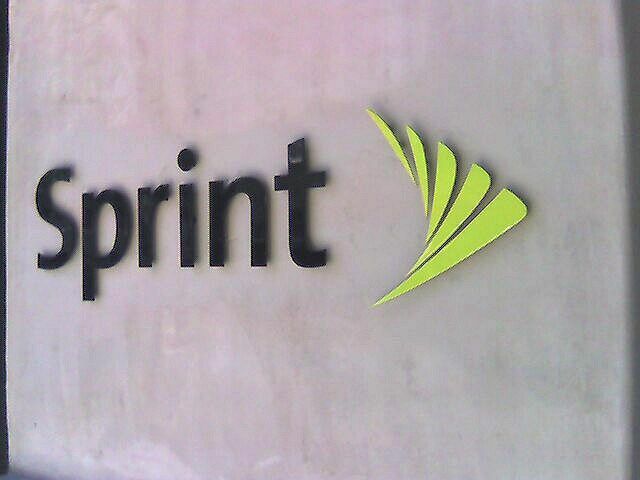 The merger with sprint is officially dead. DT has announced (via rumours) that they are not keen on selling in short term and that they would like to focus on organically growing the US business. Check bloomberg news. the same period rose 6.5 percent, to €15.6 billion. competitors like Verizon and AT&T. the company’s chief executive, Timotheus Höttges, said in a statement. Deutsche Telekom has vigorously been trying to sell off T-Mobile USA for years. WHY? Do not take as real news or confirmed! I am highly doubtful the merger is going to happen. I was told from a friend, if the merger were to happen, Softbank would get rid of Sprint and give T-Mobile – Sprint’s customers and towers. This would make sense because T-Mobile has closer frequencies than Sprint. Most of Sprint Towers have fiber-optic lines which would be easier for T-Mobile to expand more 4G.